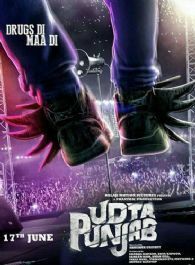 Udta Punjab is an upcoming Indian crime thriller film co-written and directed by Abhishek Chaubey. It is based on drug abuse in India. Produced by Shobha Kapoor and Ekta Kapoor under their banner Balaji Motion Pictures, in association with Phantom Films, it features Shahid Kapoor, Kareena Kapoor, Alia Bhatt, and Diljit Dosanjh in the lead roles. The film is scheduled to release on 17 June 2016.